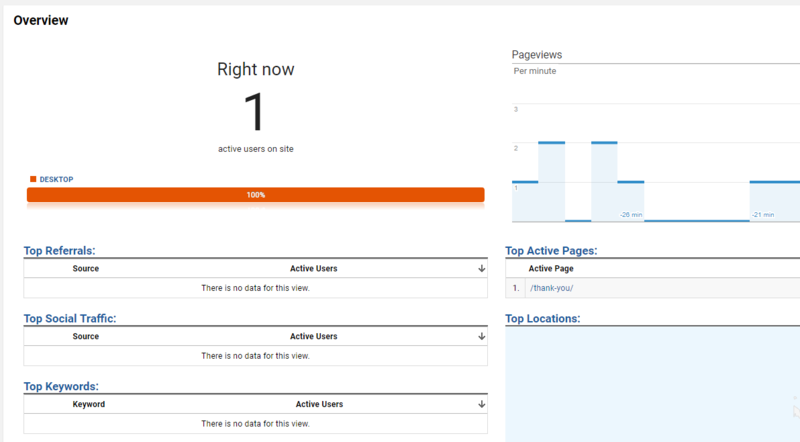 Why is Google Analytics not showing visits to this page (and goals)? Why is the goal not working? Goal verification is an indicator only, based on the past 7 days of data. If the amount of data is too small then verification may not work as expected. 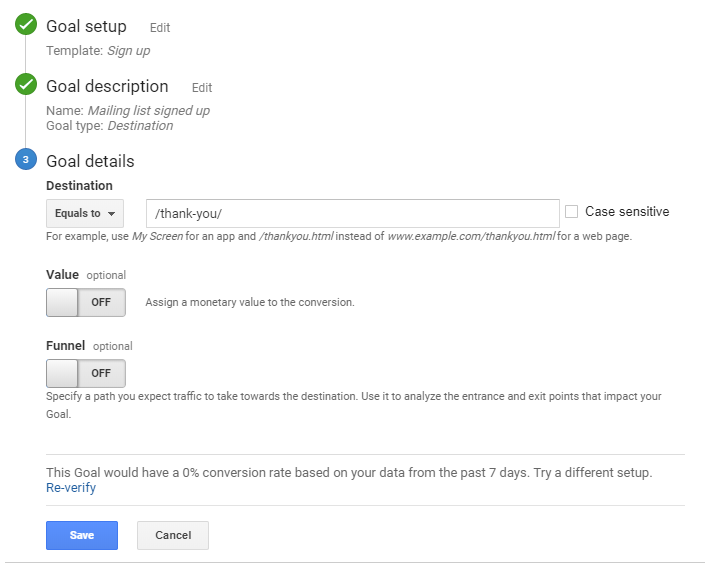 Keep in mind too, if you are testing the page as a goal conversion via real time reporting, if you test it more than once within the same session, only the first time you hit the page will count as a goal conversion. Clear your cookies to end the current session if you want to retest it. 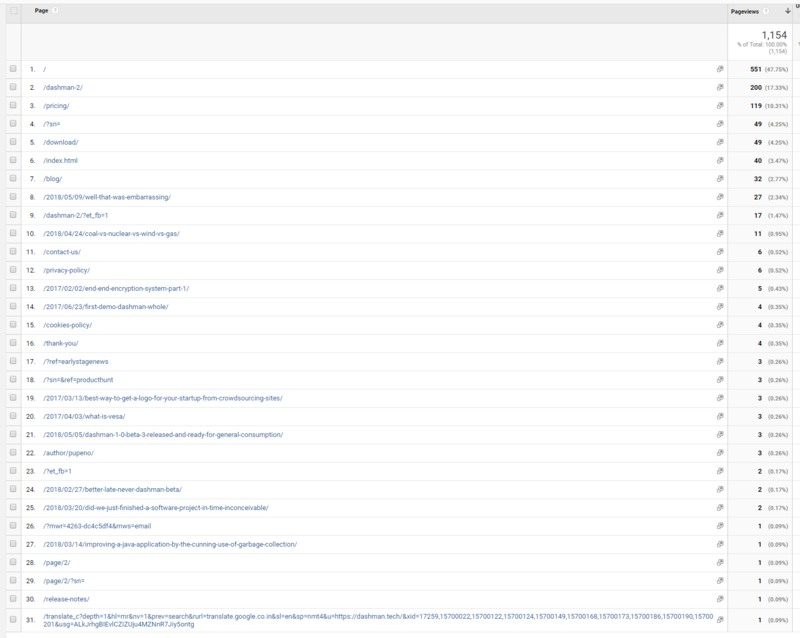 Why has my Google Analytics Goal stopped tracking visits?